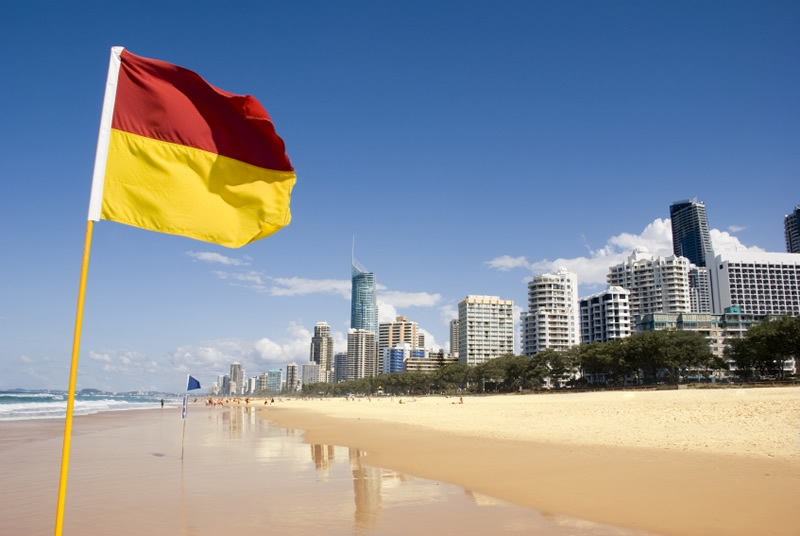 We recommend you have travel & medical insurance for the duration of your stay in Australia. Ring 000 for Fire, Police, Ambulance. By law, No buying or drinking alcohol if under age 18. By law, No buying tobacco/cigarette products if under age 18.
between the RED & YELLOW flags at the beach. Do not take medicines or tablets without seeking doctors or pharmacy advice. By law, you must wear bike helmets when riding a bicycle. Do not open the door to strangers or unknown visitors. No burning candles in bedrooms. If attending places or functions where many people congregate do not leave your drink unattended. Some people may attempt to put drugs into your drink. If attending nightclubs or unfamiliar places, it is safe practice to stay with your friends, rather than be by yourself. We recommend all students to purchase an Australian SIM Card to ensure your host family can contact you at all times. Always carry the phone numbers for your host family and ring them if you are lost or in trouble. If you are lost, please call your host family or ESI Homestay 24-hour emergency mobile on 0423 374 908. If you do not have a phone, ask a shop assistant or staff in a public place to ring for you or help. Or ask for directions to a police station nearest to you.